While the internet has changed the way many shed companies do business including Ranbuild, we still believe in offering you the option of talking to real person and viewing real sheds through our national Accredited Dealer network. 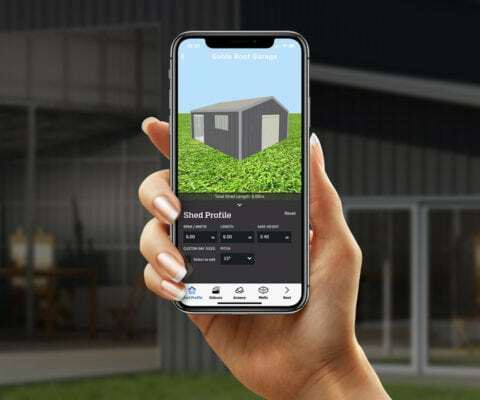 With over 120 dealers across every state and territory, you can call in to view our shed and garage display sites to see firsthand the quality of our products and talk about your ideal shed solution with a real shed expert. Our dealers can manage the entire design and construction process, or supply you a kit only delivered directly to your site. They are part of your community, employing trades and services in your local area to leverage valuable knowledge in the terrain, conditions and site selection to give you the best possible outcome. This also means that our dealers can help on any issues or warranty problems as they may arise. Many of our dealers are fully licensed builders who offer additional services that complement the shed building process so you won’t have to trapes all over town and project manage many of the ‘little’ things that go into making your shed complete. Requesting a quote through our web site goes directly to your nearest dealer to enable prompt and personable action to your request. No call centers, ‘on hold’ annoyance or ‘overlooked’ (unresponsive?) web inquiry as we have automated systems to monitor any request for quote to ensure our service to you is always timely and attentive.